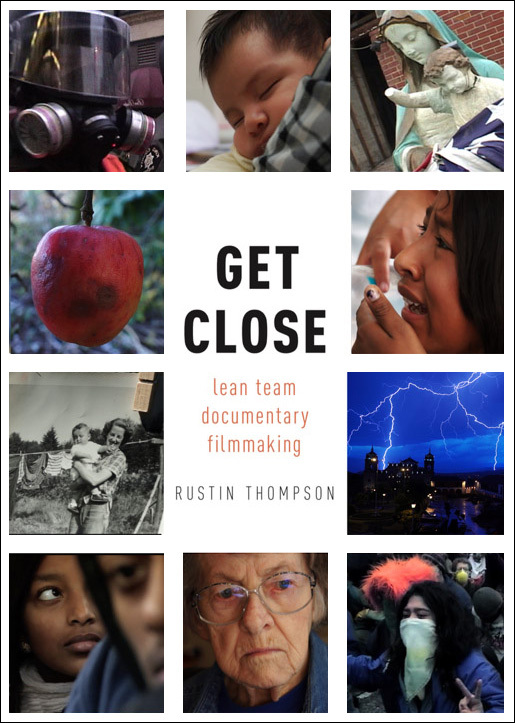 Rustin Thompson’s first book, Get Close: Lean Team Documentary Filmmaking is now available through publisher Oxford University Press, on Amazon, and can be ordered through your favorite independent bookstore. Watch a book trailer here. His latest documentary, My Mother Was Here, was an official selection of the 2019 Sebastopol Documentary Film Festival. Learn more at rustinthompson.com. Ann Hedreen is working on her second memoir, titled The Observant Doubter. Her first book, Her Beautiful Brain (She Writes Press), is available wherever books are sold. You can read Ann’s blog at The Restless Nest. We are currently working on 2019 films for the Alzheimer’s Association, Safe Crossings Foundation, Full Life Care, the Northwest Children’s Fund, the Bellevue Schools Foundation, and Seattle Arts & Lectures. We recently completed a film for SAL’s 2019 Words Matter fundraiser and a public service short for the International Rescue Committee. On our Vimeo page, you can see our 2018 films for the Cystic Fibrosis Foundation, Full Life Care, Safe Crossings, Operation Nightwatch, Seattle Arts & Lectures 2019 Writers in the Schools program, Atlantic Street Center, and an update to our film False Promises for the Wenatchi Tribe of Washington State. Other recent films include early 2018 projects for the Alzheimer’s Association, Bellevue Schools Foundation, Wellspring, the Millionair Club, and the Mindset Scholars Network. All of our independently produced feature documentaries are now available for rent or purchase on Vimeo-on-Demand, and our documentary, Zona Intangible, has been acquired for distribution by leading educational distributor Alexander Street Press. It was an official selection of both the Paris Ethnografilm Festival and Dublin’s Irish Latin American Film Festival. Other fests include The Social Justice Film Festival, the Seattle Latino Film Festival, the Friday Harbor Film Festival, the Ellensburg Film Festival, and the United Latino Film Festival in Cleveland, where we won an Honorable Mention award.